AC Pump, any pictures of the bolts i need to take out. I saw the diagram in the shop manual...however I don't want a face full of freeon. 4 long bolts on the side of it that form a large rectangle. Hard to miss. Just follow the lines down to the base flange that meets the compressor, find the bolt(s) that hold the lines/flanges on, and don't mess with those. The ones you're looking for are two on top and two on bottom, all four facing the driver frame rail in the same direction. Transmission, aside from moving the motor down to access the bolts...any further advise for getting that bad boy off. My pry-bars are ready. No prybar needed to get them apart most of the time. Just remove all bolts, raise engine/trans using hoist until the trans touches the trans tunnel, use a jack to go under the trans and hold it after the engine comes off. Now grab the engine at the sides and wiggle the hell out of it side to side and then again up and down while pulling it toward your body as much as you can muster. It will usually slide pretty much right off. I do use a prybar when mating the engine back onto the trans later...line up the clutch splines until they engage and then pry between the subframe/PS rack and the engine lower front corner/front cover gently to seat the engine back onto the trans/dowels so the bolts can be started. Engine braces that rest on the motor mounts (i think thats the name), I put a 17mm socket on the bolts...but i can't get a solid grip. Might I be picking the wrong bolts? I stopped last night thanks to heat and the effects from fumes...PB Blaster, Coolant, and Fuel take there toll quickly, lol. They're torqued on there tight, I always use an impact. You'll likely need a breaker pipe if you're using a ratchet by hand. And you don't have to get freeon on your face. Just swing it to the side once you get the bolts off of it. Yea i got it off easy. The one thing i still didn't get was the oil line...i need a open wrench bigger than a 19mm thats for damn sure. Or could i get away with unbolting it right from the block? If all goes well i'll be back on the road again by tomorrow morning. Last edited by L337fpc; 07-22-2011 at 12:32 PM. I unbolted it off the block. I have seen some cut them....it was not hard to unbolt it from the block. Yea i'll be unbolting it, no cutting here. RR, this is the best thread. Thanks a ton. Unfortunately, I now get to go through it again. The new motor I replaced has less than 500 miles on it and it's developed a compression issue. The dealer diagnosed it as a remanufacturing flaw so the replacement engine is free. We have two things going for us. This is now the second time I've done this so I should be quite a bit faster - and, everything is still clean so I can skip that whole cleaning step. Check it! Time Lapse video of the procedure. Sorry it's so quick. This was my first try and I set the interval to be too slow. Here's the tear down. This was the second try. I think it's better. Wish it really went this fast. This write up was a great help. I took about an hour to convert it into a Microsoft word format that I could print and place in clear sleeves within a binder. Having that binder right there while doing with work was much less risky than having a laptop. So if anyone else likes to work like this, I've got the file to email you. I tried to attach it but the site is saying the file is too large. Moderators let me know if this is something you can work out. I can email it to you. Thanks! ALSO new engine in and car running great! Just wanted to say a big thanks to RotaryResurrection and MazdaManiac. Got my core out on Thursday and dropped it off at a shop here in Colorado for a rebuild. Never could have done it without this thread. I've never removed an engine in my life. These instructions were a HUGE help. Is there a list of parts that are considered mandatory to replace when installing the rebuilt engine? Can anyone provide any insight on this? Apex, corner and side seals I would class as mandatory. Thanks for the reply. I will definitely make sure the shop doing the rebuild (Precision Import Repair in Denver) is replacing the corner and side seals. They told me they're doing the Apex seals already. I should have clarified that I am only doing the installation once the rebuild is complete. I'm looking for a list of parts I'm going to need to purchase when I install the rebuilt engine. I understand some of this might be subjective. I am curious what the people more experienced than myself would recommend. Just wanted to say a big thanks to RotaryResurrection and MazdaManiac. Why, what does MM have to do with the price of rice in china? IT's all subject to inspection and mileage IMO. I wouldn't really consider motor mounts to be "required" unless they visually appear bad. IT will be obvious if they are cracked or about to fail. The clutch (for MT owners) is the only really "you'd be dumb not to replace it now" part to worry about. 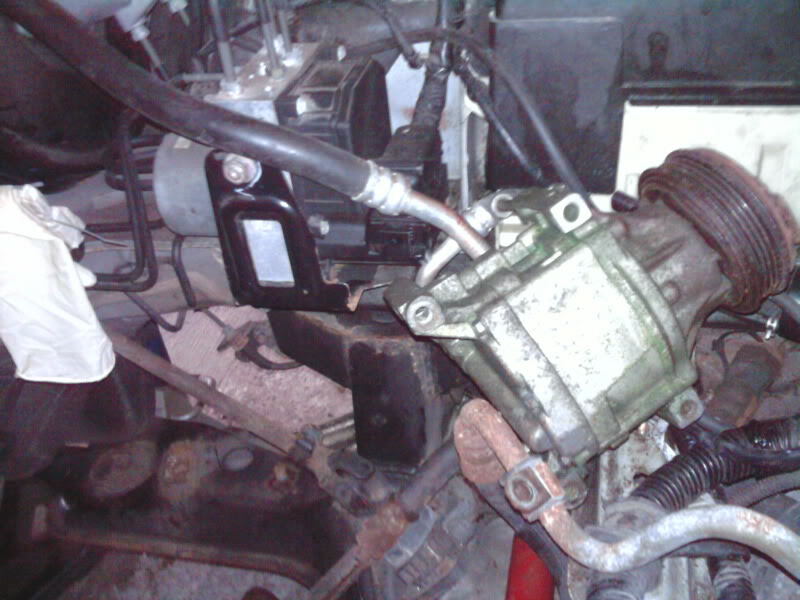 Everything else is fairly easy to change at a later time (water pump, coils, motor mounts, etc.). Thanks for the tips about the motor mounts & the clutch. My clutch was replaced at 80k and my engine died at 105k. I am in the middle of doing this as we speak. I am having a hell of a time trying to get the upper trans bolts off. im using multiple extensions, of different sizes and u-joint. But i still cant find the magin angle to get them off, i have the one bolt behind the slave line off, but cant get what i assume to be two more bolts towards the passenger side off or even get into a position that would make it possible... any suggestions? Yep those guys are a pain. I think I ended up dropping the trans slightly and just reaching my arm up in there blindly. Remove the upper intake manifold and you can get to them easily. But, from under neath you can get to them with the right combination of swivels, extensions, etc. Those are the hardest two bolts in the whole operation to remove. I couldn't get to them myself, but my son who has thinner arms was able to reach up from underneath. Best of luck. i've just about run out of all my options with the swivel joints and extensions. So I will try removing the UIM and see how that works out. Keep you guys posted. And RR you are a god for this write up, saved me a ton of money and hassle... well more money then hassle but you get the idea haha.